On 11 April 2008, the Minister for Finance and Deregulation, the Hon. Lindsay Tanner MP, announced my appointment to lead a review of the Australian Government use of ICT (information and communication technology). In response to the Terms of Reference, I employed an evidence-based approach to the review. There was a need to gain a comprehensive understanding of the status quoin order to determine the scope for, and identify areas of, improvement of efficiency and effectiveness. 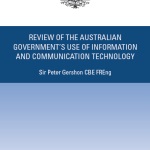 At the heart of these findings is a conclusion that the current model of very high levels of agency autonomy, including the ability to self-approve opt-ins to whole-of-government approaches in the ICT domain, leads to sub-optimal outcomes in the context of prevailing external trends, financial returns, and the aims and objectives of the current Government. The impact of this autonomy has been heightened by a previous lack of strong focus on whole-of-government ICT issues at both Ministerial and top official levels. This conclusion applies no matter how well-intentioned individual agencies are in their pursuit of whole-of-government outcomes. 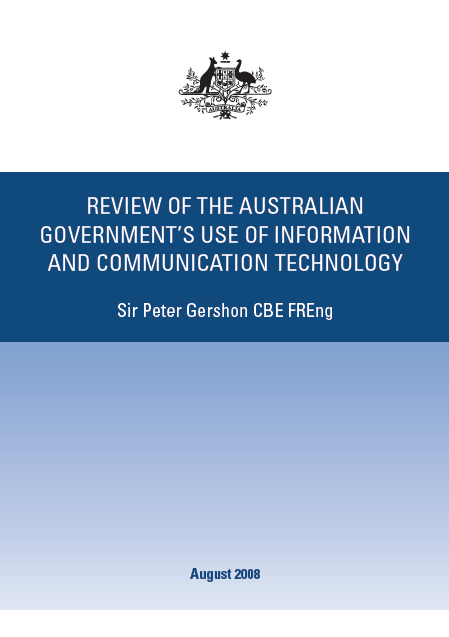 Posted in Asia Pacific, Communications, Financial Services, Information, Technologies and tagged Agencies, Agency Autonomy, Approach, Australian Government, Evidence Based, External Trends, Financial Returns, Government, Government Outcomes, ICT, ICT domain, ICT issues, review, use of ICT.